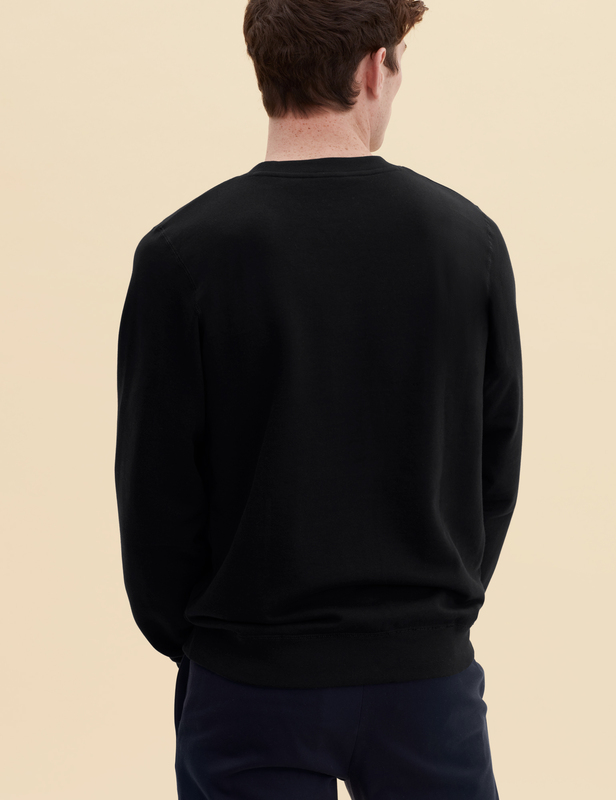 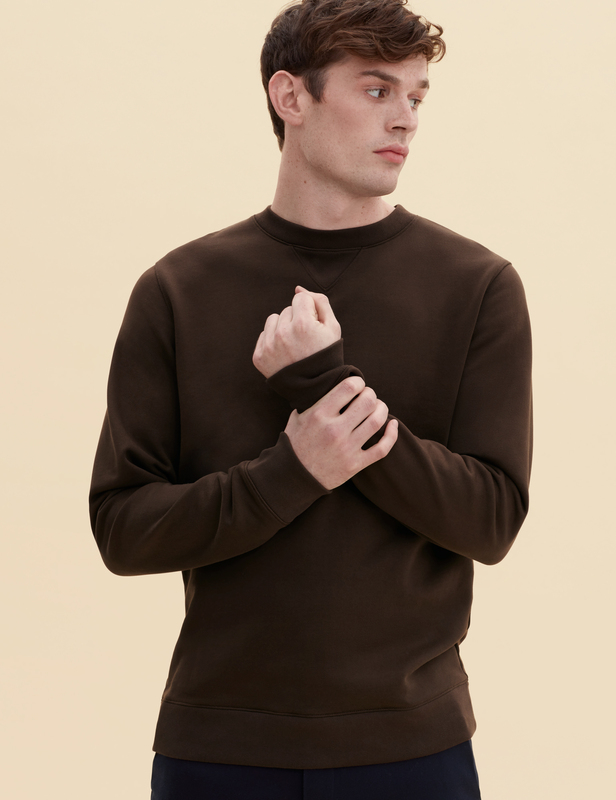 An understated sweatshirt is the ultimate contemporary essential. 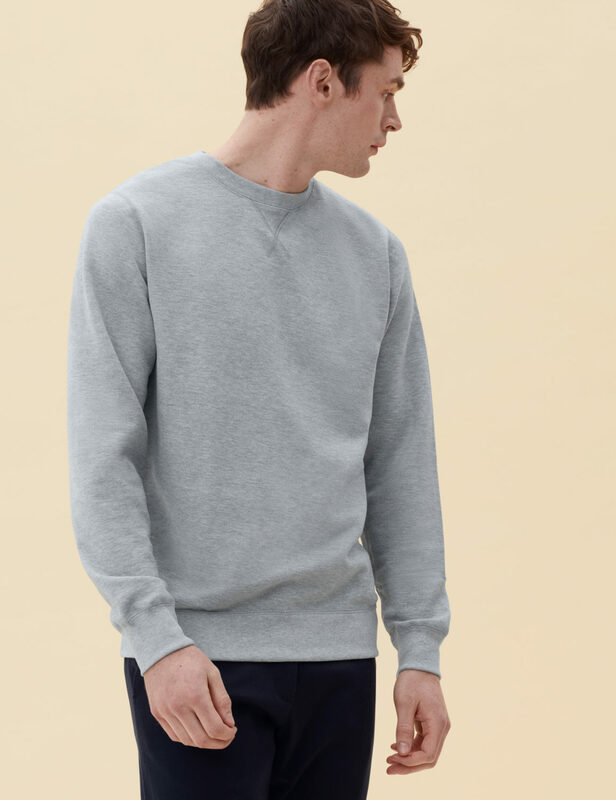 Our bare-bones rendition of this classic American varsity sweatshirt is versatile and timeless. 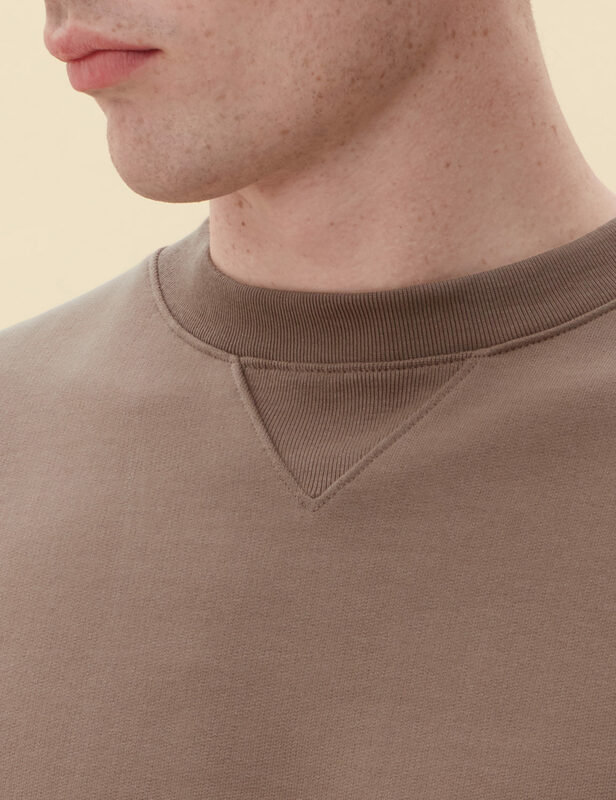 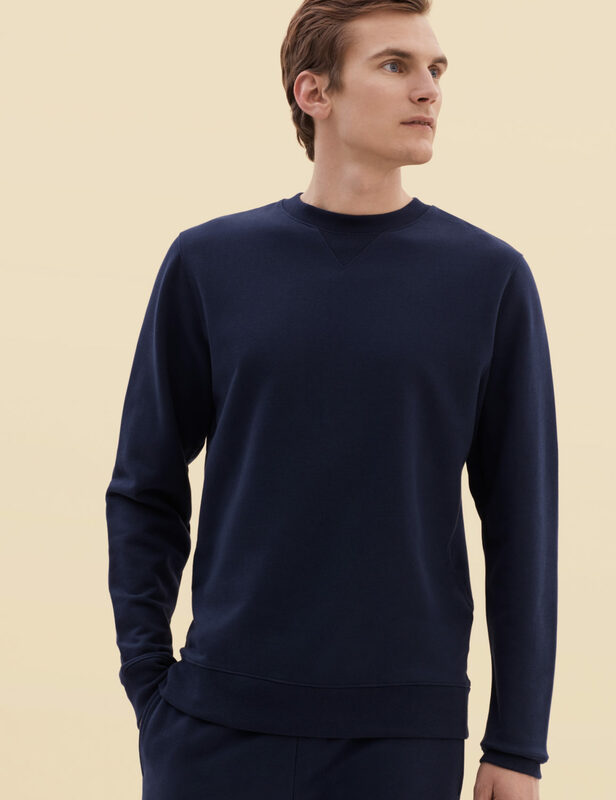 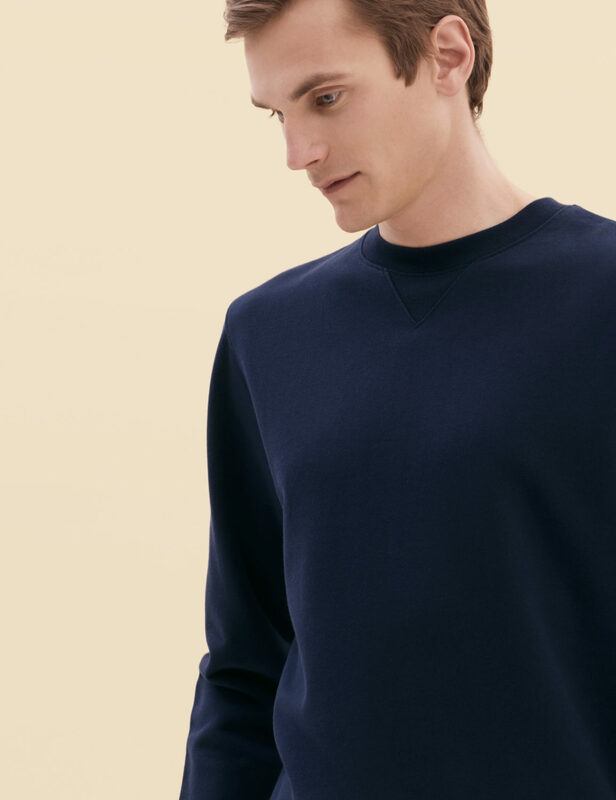 Handmade from an exceptionally soft, yet structured, loopback French Terry fabric and finished with a V stitching detail at the neck.